Today is Tjugondag jul (“Twentieth Day Yule”), or Tjugondag Knut (“Twentieth Day Knut”), or Knutomasso, in English, Saint Knut’s Day, (Finnish: nuutinpäivä), a traditional festival celebrated in Sweden and Finland on 13 January. It is not celebrated in Denmark despite being named for the Danish prince Canute Lavard, and later also associated with his uncle, Canute the Saint, the patron saint of Denmark. Christmas trees are taken down on Tjugondag jul, and the candies and cookies that decorated the tree are eaten. In Sweden, the feast held during this event is called a Christmas tree plundering (Julgransplundring). In other words, in Sweden and Finland Christmas is really, really, really over. Canute Lavard (Knut Levard in Swedish) was a Danish duke who was assassinated by his cousin and rival Magnus Nilsson on 7 January 1131 so he could usurp the Danish throne. 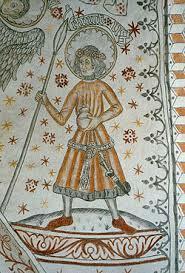 In the aftermath of his death there was a civil war, which led to Knut being later declared a saint, and 7 January became Knut’s Day, a name day. As his name day roughly coincided with Epiphany (the “thirteenth day of Christmas”), Knut’s Day and Epiphany were more or less conflated. In 1680, Knut’s Day was moved to 13 January and became known as tjugondag Knut or tjugondedag jul (the “twentieth day of Knut/Christmas”). On Nuutinpäivä in Finland, there has been a tradition somewhat analogous to modern Santa Claus, where young men dressed as a goat (Finnish: Nuuttipukki) would visit houses. Usually the costume was an inverted fur jacket, a leather or birch bark mask, and horns. 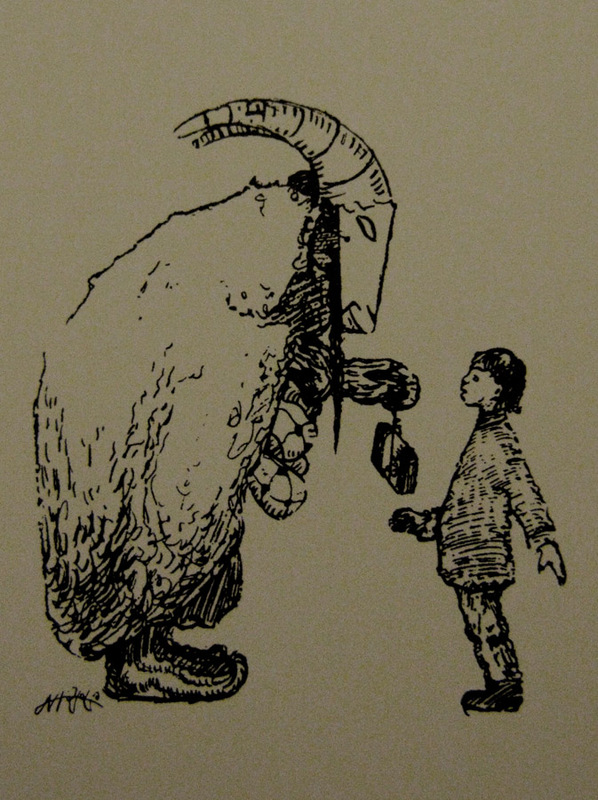 Unlike Santa Claus, Nuuttipukki was a scary character (like Krampus http://www.bookofdaystales.com/krampus/ ). The men dressed as Nuuttipukki wandered from house to house, came in, and typically demanded food from the household and especially leftover alcoholic beverages. In Finland the Nuuttipukki tradition is still alive in Satakunta, Southwest Finland and Ostrobothnia. However, nowadays the character is usually played by children and is rather mild and playful. Christmas tree plundering (Swedish: Julgransplundring) is a tradition in Sweden on St. Knut’s Day, marking the end of the Christmas and holiday season. 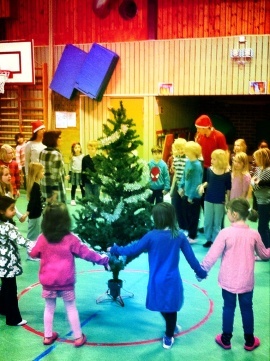 It is also known as “Dancing out Christmas” (Dansa ut julen) or “Throw out the Tree” (Kasta ut granen). 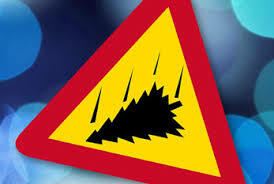 It is mentioned in the Old Farmer’s Almanac that “King Knut asked them for help to drive out Christmas”. In traditional Swedish agrarian society, children would run from farm to farm to “call out Christmas” (ropa ut julen), that is call out that Christmas had ended and beg for food and drink. The present day tradition has changed very little since the 1870s. During the 20th century, Christmas tree plundering became mainly associated with children and candy. The observance of the feast peaked during the period 1950–70. In private homes, there is often a party primarily for children. The Christmas decorations are then put aside. 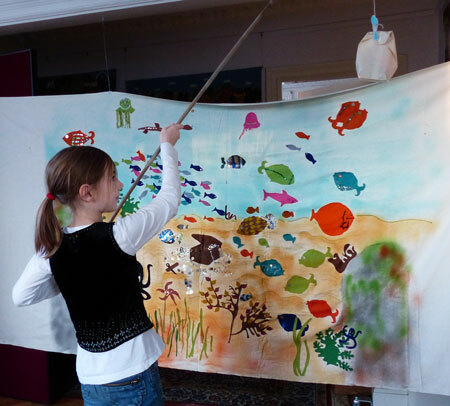 Such parties are also common in schools, kindergartens, churches and other places. In many towns, the illumination of the public Christmas tree is switched off, accompanied by an outdoor Christmas tree plundering for the community. In some areas the feast is known as Julgransskakning (“Shaking the Christmas tree”). 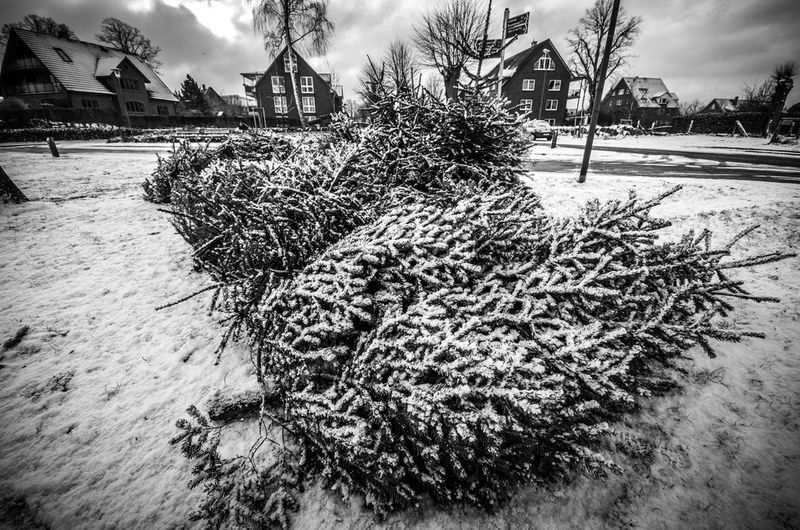 During the 20th century, Christmas trees were literally thrown out of the window or from the balcony, on to the street once they had been “plundered” and stripped of all ornaments. Since the beginning of the 21st century, areas for dumping the trees are designated by local authorities but even by 2015, spontaneous and illegal dumping grounds were still a problem. Some customs die hard. 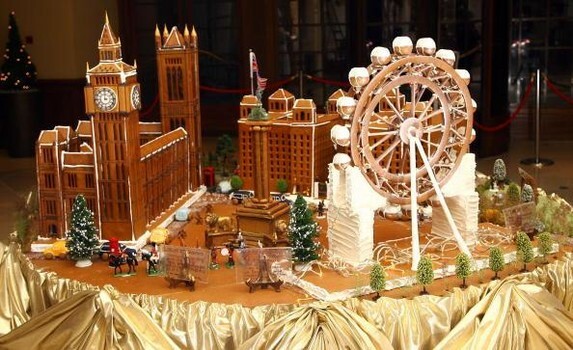 I like the idea of smashing the Christmas gingerbread house and eating it. 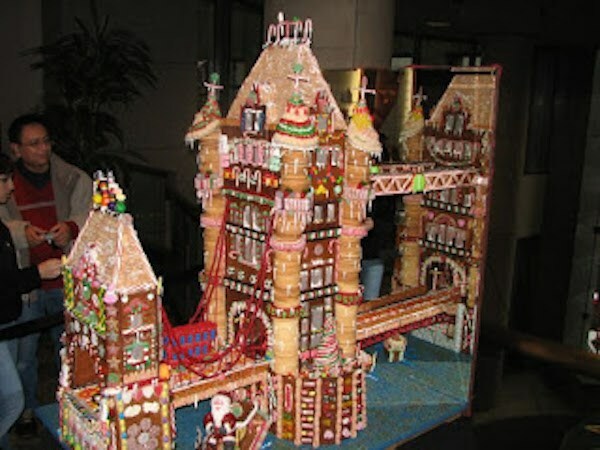 Getting rid of my gingerbread house was always tough. I put a great deal of effort into it 30 years ago. It started off reasonably simply using a commercial template with a basic gingerbread recipe. But in the process my wife got so carried away with the decorating that we did not want to eat it or discard it. So we kept it until the next Christmas . . . then the next. But it was getting tattered by then, so we threw it out in the woods where it was descended upon by birds and wild animals within minutes of leaving it. 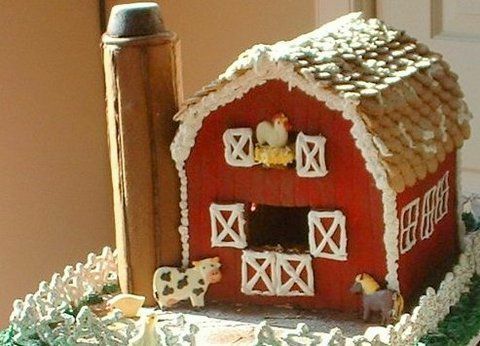 Next year we built a barn replete with marzipan farm animals. Then I went completely mad the next year making a replica of Caernarvon castle including an array of knights on horseback. After that I settled for a few gingerbread cookies as a token. 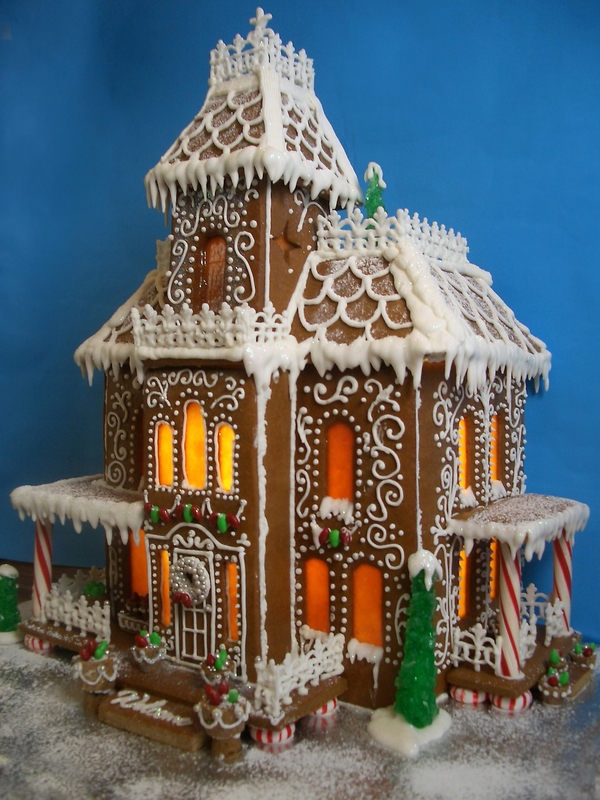 Here’s my standard recipe for gingerbread to make a house. For a simple house this will be enough. For more elaborate displays you’ll need several batches. Melt the butter, sugar and syrup in a pan. Mix the flour, bicarbonate of soda and ground ginger in a large bowl, then stir in the butter mixture to make a stiff dough. If it won’t quite come together, add a little water. Roll the gingerbread out to about ¼ inch (6cm) thick on baking parchment. Using a template, cut out the house components and remove all excess (which you can re-roll). Bake on the parchment on cookie sheets for about 12 minutes. It may still be a bit soft after this time, but will harden on cooling. Transfer to wire racks to cool. Assemble the house using stiff icing sugar. Then decorate as you wish.